The Thermic4000 is one of our most popular petrol pressure washer. 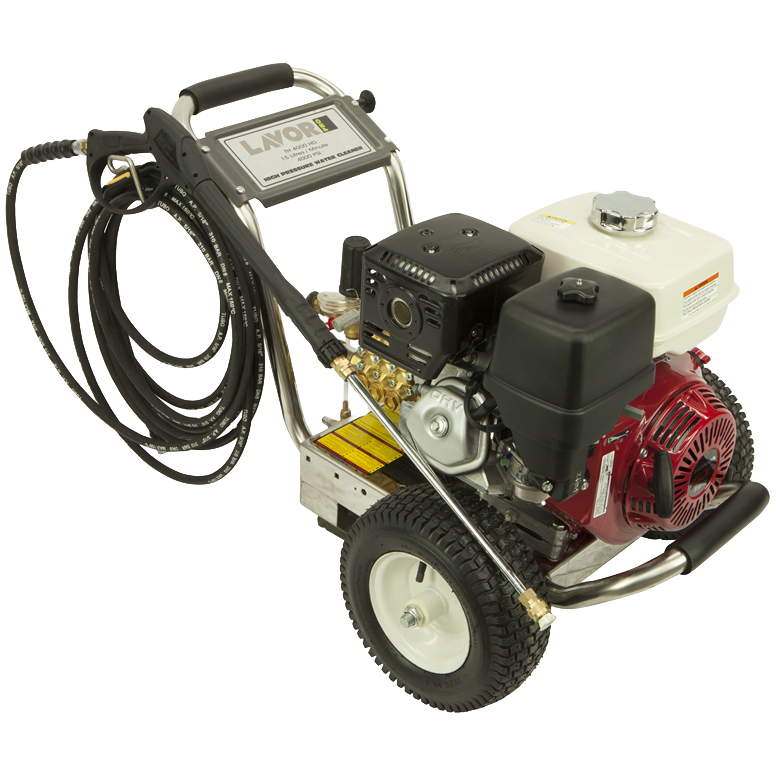 Built with performance in mind, this unit produces 4000 psi at 15 litres per minute flow rate. This type of performance will satisfy the needs of many trades people who need a big performing machine. 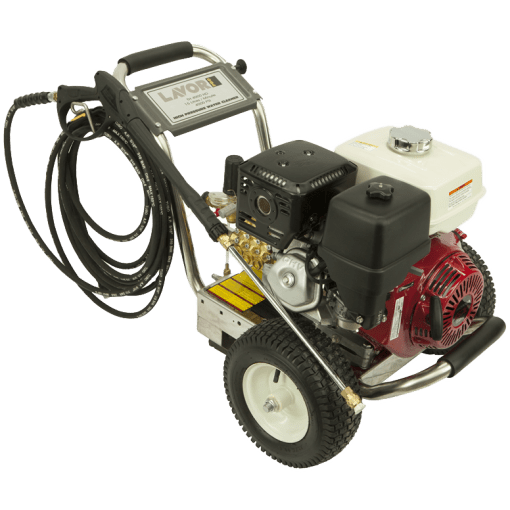 Firstly, with a quality Italian pump, external unloader and a Honda 13HP motor, this pressure washer is ultra reliable. 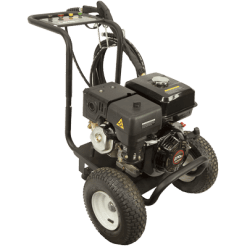 With thermal protective dump valves, a brass pump head and low oil alert, this machine is well protected against breakdown. 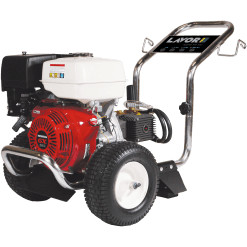 Standard accessories include premium quick connect hoses, twin lance for pressure control at your fingertips. Furthermore, this large machine has stainless steel trolley and pneumatic tyres. 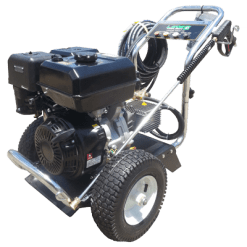 In addition, this pressure washer includes a 15 Metre, non-marking, double steel braided high pressure hose.